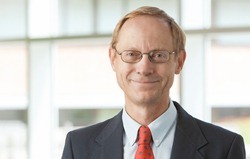 UNMC › Radiology › Faculty › Donald F. Orton, M.D. Orton DF, Hummel MM. Intra-abdominal Desmoplastic Small Cell Tumor Presenting as an Acute Abdomen after Trauma. Emergency Radiology 5:173-175, 1998. Orton DF, Gurney JW. Spontaneous Reduction in Size Bullae (Autobullectomy). Journal of Thoracic Imaging 14:118-121, 1999. Orton DF, LeVeen RF, Culp WC, et al. Aortic Prosthetic Graft Infections:Radiographic Manifestations and Implications for Management. RadioGraphics, 20:977-993, July 2000.